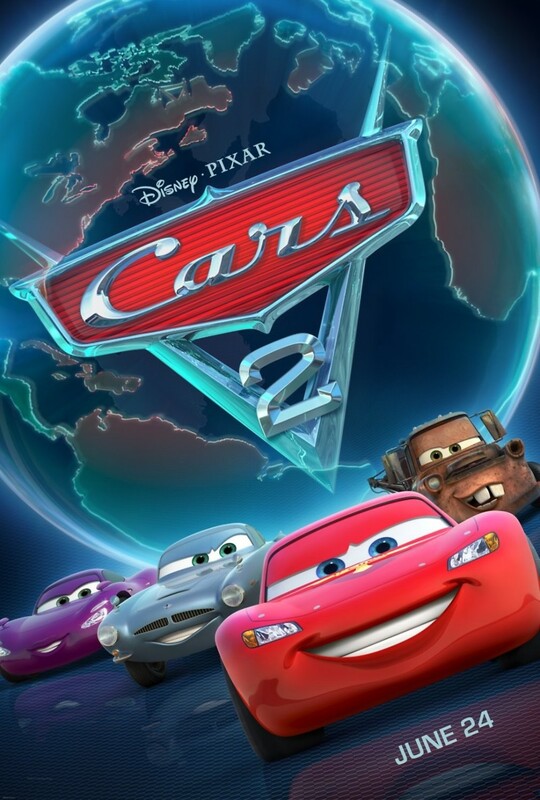 Cars 2 DVD and Blu-ray release date was set for November 1, 2011. The Radiator Springs gang sees the world in this sequel to the blockbuster "Cars" movie. Challenged by Francesco Bernoulli from the World Grand Prix, Lightning McQueen sets off with best friend Mater to take the international title in Europe. Seeing the sights is last on their list. Secrets plots develop as evil villains trick Mater into helping them. As a secret agent, Mater finds a sense of purpose, but he misses his friend, Lightning. Old pals converge on the World Grand Prix as Mater's antics slowly pull Lightning into danger. This action-packed sequel tests Mater and Lightning's friendship by pinning them against each other. Finding the true key to friendship, Lightning must accept Mater for who he is, but time may run out with a secret bomb threatening all the friends.